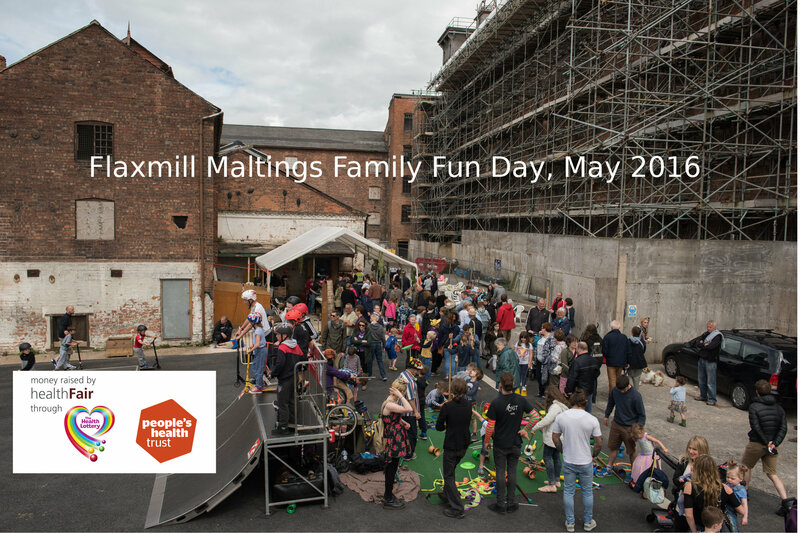 After the success of last year's Family Fun Day we will be repeating the event this year on Sunday the 21st of May. The fun starts at 12 midday, we will be open until 6pm and there is no charge for entry. Once again we will have a mobile skate park, circus skills workshops, drumming, animals, flax demonstrations, children's entertainment, police cars and a fire engine, a canal barge and much, much more for children of all ages. There will be refreshments to buy for over 15s, and free food for visitors aged 15 and under! The Visitor Centre will also be open, with volunteers available to talk about the history of the buildings and their future. Here is a film showing last year's event. To see the video, which was filmed and produced by Katherine Hannaford, click on the image above or follow this link.